Hearing aids can be prescribed by Alexander Audiology for one or both ears. Patients have many options to choose from that fits their current needs. Hearing aids can be powerful, invisible and even comfortable – all in one package. Getting used to the brands and terminology is helpful for making a final decision. Hearing aid style variations are part of the custom fit. That is why no two hearing aids are created the same. The style determines comfort, size and overall appearance. Hearing protection helps with noise-induced hearing loss. Custom options further enhance the usability of the products. Hearing protection are sometimes available as accessories or as add-ons for other hearing products. Advanced Bionics is recognized as one of the industry leaders with cochlear implants. With their new MultiBeam technology, users will now have much clearer speech recognition. 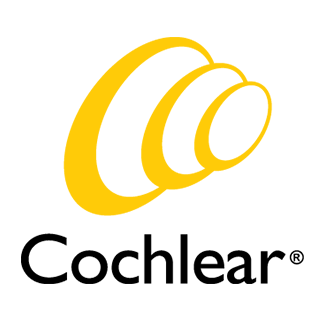 Cochlear hearing implants are the latest & most innovative hearing devices available today. Lyric’s popular hearing aid is small, produces natural sound and is easy to use. It remains the world’s only completely invisible hearing aid. Oticon produces a range of hearing aid devices, accessories and apps. Their Oticon Opn series comes with a risk-free trial to help patients with their buying decision. Phonak is a hearing aid company that thinks outside the box. They have one of the largest catalogs in the world that mix style, size, design and feature sets. The LiNX 3D was created as a way to change the way hearing aids react with the environments. ReSound offers that and much more with a priority on devices that recreate natural sound. Signia’s Silk Nx is one of the smallest hearing aids in the world. The company also promotes wireless features, apps and a large selection of accessories. Natural sound, clear speech and a wide range of devices makes up the Sonic Innovations brand. Their Enchant hearing aid with ZPower ensures the device can be charged anywhere, at any time. Halo iQ is one of the best hearing aids to choose for smartphone compatibility. With Starkey products, the user is always in full control. Unitron manufactures hearing aids of all sizes. High-end features found in bulkier hearing aids are available in the smaller versions of Unitron models. With the Widex Evoke, users never have to worry about adjusting their hearing aids. The Evoke is a smart hearing aid that uses Widex’s innovative SoundSense Technology.